"Alumni of the First Team"
Are you a Life Member of the 1CD Association? A non-political, non-sectarian, non-profit Soldiers and Veterans fraternity. 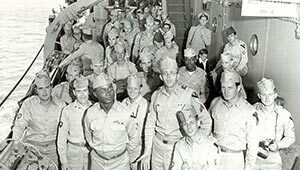 On July 17, 1944, a group of FIRST TEAM Soldiers in the Admiralty Islands agreed to form an Association of 1st Cavalry Division Soldiers and Veterans to preserve old friendships and conduct periodic reunions. The Association held its first reunion in 1948 in El Paso, Texas and was incorporated in Washington, DC in 1949. 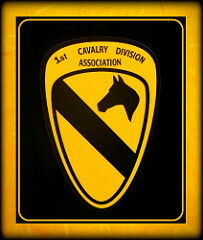 Anyone who has been assigned or attached to the 1st Cavalry Division anytime, anywhere, is eligible for Life membership. There are more than 28,000 men and women on our active membership rolls. We are a group of Soldiers and former Soldiers from privates to 4-star generals who share a bond of service with the FIRST TEAM. 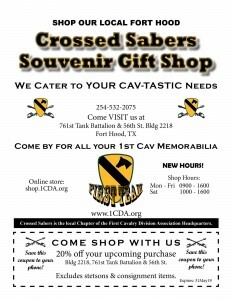 We are dedicated to supporting the 1st Cavalry Division and each other. Once Cav, always Cav! Working with the ex-service community is an important part our work in the organization. 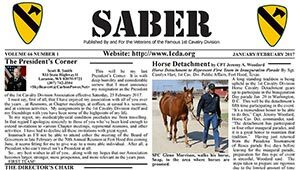 To preserve and strengthen friendships through annual reunions, chapter activities, and our bi-monthly news letter, SABER. 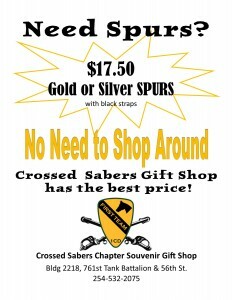 To obtain tangible evidence of membership in the Association, i.e., Membership card, membership certificate, lapel pin, window sticker, annual calendar, and a one-year subscription to SABER. If you were ever assigned or attached to the 1st Cavalry Division print the Life Member Application, fill it out, and mail it with a $10 check or money order to the 1st Cavalry Division Association. 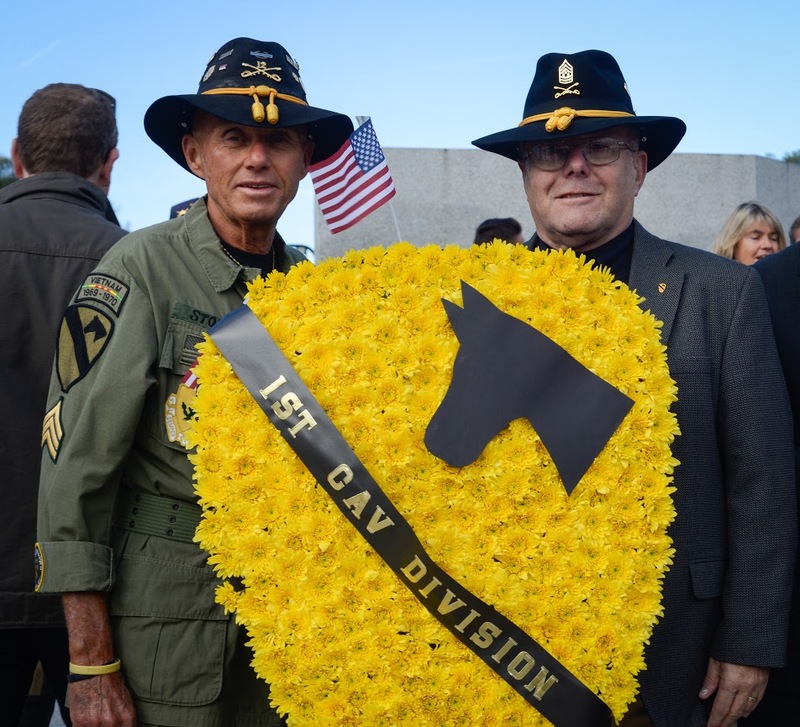 If you never served with the 1st Cavalry Division but would like to join print the Associate Member Application, fill it out and mail it with a $15 check for an annual membership or $150 for a Life Associate Membership to the 1st Cavalry Division. We are country-wide. The National headquarters is located in Copperas Cove, Texas. There are several chapters throughout the country, as well as a chapter in the active Division at Fort Hood. On this day in 1968, we lost my Hero Step-Dad to the War in Vietnam. He was a true Hero! The world has lost another great Patriot, may he rest in peace. Sam Veer shared an album to 1st Cavalry Division Association - Alumni of the First Team's timeline. 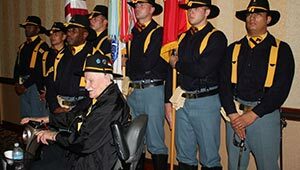 www.facebook.com/pg/Sheridans-Chapter-1st-Cavalry-Division-171693392933659/photos/?tab=album&albu...Troopers it is with heavy heart that we have been informed that John Crowden , a Cav. Brother, Korean War Vet, has passed on. A Charter member of the Chapter,John has contributed as officer and a very active member.He will be sorely missed by all that knew him.